The company Fechner GmbH was established in 1951. Since then we have devoted ourselves to recycling and environmental protection. Since the early 1970s, car recycling has become an essential component of our family-run business. Our wholesale for used metals of all sorts, as well as used and new car parts, has constantly expanded ever since, and today we are very proud to be able to say that we are one of the largest and above all most well-known businesses in our sector, both regionally and nationwide, and we do all we can to retain this position. In 2007, we added a motor vehicle master workshop as a further division; furthermore, we significantly expanded our vehicle spare parts trade. The name "Fechner" stands for reliability, quality, consistency, and above all for your advantage. 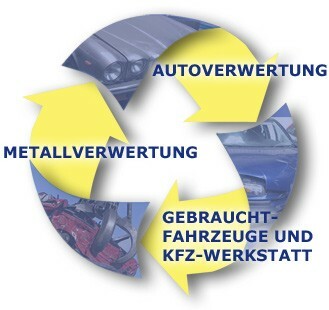 Fechner GmbH - Your car recycling, metal recycling and motor vehicle master workshop - All good things come in threes.